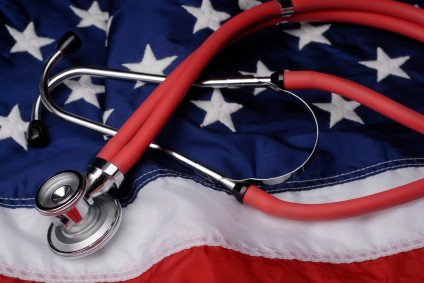 Will health care reform make America healthy? No. Health care does not equal health. That’s expecting peppers to grow out of pear trees. But the physical, mental, social and spiritual health of the nation – and you – comes from factors other than health care. For you and our country, the real trick is to not get sick. Lifespan is about lifestyle. What you do is what you become. And our present medical model of the body as machine is wrong – deadly wrong. Machines rust. Machines decay. Our medical model is one of sickness, not health. It tells us how you can die. What health care should teach is how to live. Humans bodies are not machines. We are alive. And life is fast. We constantly regenerate ourselves to survive and thrive. Most of your body is new is three to four weeks – information you can really use. Give the body the right information and tasks and it will regenerate right. And now we must regenerate ourselves – and shift our health care “system” to promoting health. One aspect of health is lifespan. The U.S. spends twice as much as our developed nation competition on health care. We rank 50th overall in life expectancy – according to the C.I.A. That is an enormous health, political and economic burden. American corporations and individuals spend huge bucks for a system that does not work. You can prevent diabetes. Or you can spend hundreds of billions each year treating it. We take the costly approach. In most developed countries, lifespan more than doubled in the last century. The main reasons – improved sanitation, nutrition, education and vaccination. Medical care was not one of these major factors that increased lifespan. Let’s look at perhaps the most effective medical invention of the 20th century – antibiotics. Infectious disease deaths declined more than three quarters between 1900 and 1940. That was before effective antibiotics existed. Nutrition still matters – a lot. Food policy is health policy. If high fructose corn syrup is a major cause of childhood obesity and diabetes, why have the government subsidize its production? Clean water is critical to survival. So why are people frightened drinking tap water? A healthy economy requires a healthy population. Healthy people are more productive, creative, effective – and happy. Their healthier lifestyle makes other people healthier. They create jobs. They cost the health care system a lot less. Sadly the Affordable Care Act does little to promote a healthy population. A healthy population also needs a healthy environment. The ACA won’t help much there, either. It won’t even do enough to save the medical care system. 1. The ACA retains the insanity inducing, superexpensive American medical care system that adds new layers. Including some that haven’t worked. Electronic health records are mandated. That they communicate is not. Want to know why your doctor doesn’t talk to you? She’s hunched over her laptop trying to make her electronic health records function. Many hospitals have already ditched non-functioning EHRs. Countries with more efficient health care use one or a few different EHRs. We will have thousands – isolated and uncommunicative. Expect privacy to decline and medical chaos to increase. 2. Money. It won’t be there. Health care costs too much and saps economic competitiveness. Warren Buffet calls health care a “tapeworm” on the American economy. How we will we pay to care for our fastest increasing population – our elderly? The ACA will try to insure many uninsured through Medicaid. But the Supreme Court declared states can opt out of Medicaid expansion. Many states are close to bankruptcy. They can’t afford their pension bills. 3. Health insurance in name only. Lots of people today have “great” insurance – until they want bills paid. One of my patients had a rare tumor. His insurance stopped paying after a CT lung scan to check metastases. The rider was 24 years old. It become inoperative 22 years ago. He finally got them to pay for that chemo – right before he died. Expect this widespread health insurance scam – now you see it, now you don’t coverage – to mushroom. 4. Politics. The ACA can be repealed. Businesses and individuals must plan for an unknown future. Uncertainty breeds uncertainty. 5. Politics control health care, and politics is broken. Since the Citizens United decision, government is officially for sale. When you’re 18% of GDP, health care can buy many politicians. At least rent-to-own them. Health insurers, providers, drug companies and device companies will fight to defend turf. Relatively minor investments – political contributions – will block efforts to provide efficient health policies. Even if those policies would save you and the country lots of money. Health care should create health – physical, mental, social and spiritual well-being. Yet the factors that really change health – sanitation, nutrition, education, vaccination and lifestyle – don’t enter the political discussion. The Declaration of Independence declares Americans have the right to life, liberty and the pursuit of happiness. In the 18th century, happiness meant well-being. We can increase well-being using the regeneration model of health. It lets us take control our own, personal health. Collectively we can save enormous amounts of money, innumerable lives, and increase our economic competitiveness. But that means focusing on health, not health care.